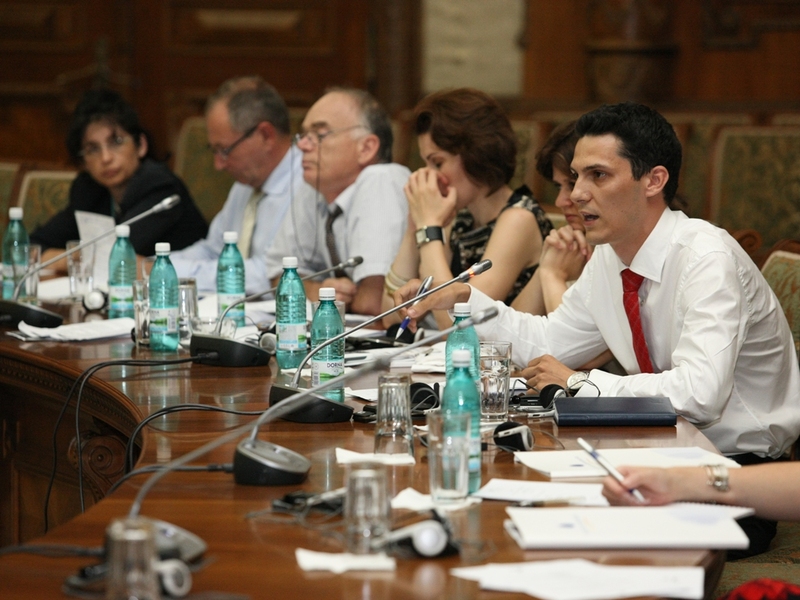 The round table on “Energy Efficiency and Renewable Sources of Energy”, organized by the Aspen Institute Romania on 07.07.2009 at the Romanian Parliament, aimed to identify the best options and measures to increase energy security and to counter the effects of global warming by improving energy efficiency and the use of renewable sources energy. In the first session of the round table, the issues discussed were the importance of energy efficiency, the challenges faced by Romania in this area and the solutions that should be taken into consideration. Investment in the energy area is an obligation and an opportunity during the current financial crisis, especially given that such investment can improve the competitiveness of Romanian economy on short and medium term. In addition, an investment in the energy area can create tens of thousands of new jobs in the upcoming years. Unfortunately, in these times of crisis, we tend to deal only with short term goals, which sometimes “inhibit” decisions that should be taken on the long term. Another important objective is related to the energy target of 20% of energy production from renewable sources. The possibility of producing energy from waste should be taken into account considering the mandatory closure of landfills. This also includes the CHP plants based on biomass in the environmental and energy policies. Romania is in the process of reengineering the collection and storage systems of municipal, industrial and agriculture waste which is a moment of strategic opportunity to introduce clean management technologies for wastes and cogeneration. In the second session of the round table, renewable sources of energy were discussed. Romania has a potential wind power of about 14,000 MW, and demands already exceed 17,000 MW. On top of this wind energy natural asset, Romania also has a capacity of another several thousand megawatts from hydro, solar and biomass, which unfortunately are not explored enough. Thus, those present to the discussion indicated the need to adopt a clear mechanism for the promotion of all renewable resources in Romania, which can produce both electricity and heat. The choice is not only between different types of generation, but also between different types of optimal energy mix. Each type of renewable energy creates special problems and therefore, between the installable theoretical capacity and the desired economic, social and strategic capacity there are important distinctions. For example, the wind energy has limited financial gain and would not create many job opportunities in Romania. 4. To establish a fiscal framework that sustains the public and private investments in energy from renewable sources and the measures of energy efficiency through tariff and tax credits mechanisms. All the priorities mentioned above are hard to achieve without a central level of strategic energy planning and by monitoring the cross-sectoral impact of options and decisions on public investment, fiscal and regulations etc.